The folks down in New Orleans are trying out a new recipe to make up another batch of that spicy gumbo karma that took them to a Super Bowl victory back in 2010. Without Sean Payton there as head coach last year, the mix was bland and unappetizing for most of the season. Last year the Saints posted a record that few teams aspire to. New Orleans fielded the worst defense in the history of the NFL. They gave up more yards more passes, more points, well… you get the point. Now the Saints are about to emerge back into the light ready to take on the best that the NFL has to throw at them. 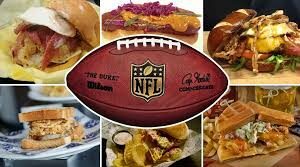 If Roger Goodell doesn’t have any more surprises in store, the Saints are lining up to have a great season in 2013-2014. 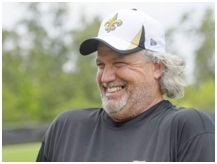 Part of the new found optimism down in the Big Easy comes from the hiring of Rob Ryan as Defensive Coordinator for the Saints. Ryan comes over from the Dallas Cowboys after being fired at the end of last season. The Cowboys front office told the press that the reason that Ryan was let go was because his defensive schemes were just too complicated for them. Perhaps that Saints players will be able to grasp those complicated defenses and put them to good use against the Cowboys, for example. Ryan has been charged with rejuvenating the Saints D and will be switching over to a basic 3-4 defensive scheme which is a departure for New Orleans. But a change was due and, so far, the Saints and Ryan appear to be a romance made in heaven. Oddsmakers are still playing their cards close to the vest where Rob Ryan and the Saints are concerned. Currently the Saints are a 15 to 1 shot to win the Super Bowl once again.